Let’s cut to the chase – should we allow euthanasia? A Quebec man – Michel Cadotte – is facing murder charges after respecting his wife’s request to end her life when her dementia had progressed too far. “I gave in to her demand for help in dying. I’m waiting for the police,” he wrote in a post in March. When the country was debating the proposed law on assisted dying I wrote about the ethical dilemma of balancing two important principles: Preserving life versus preventing suffering. (See: How would you like to die, Sir?) The debate comes down to this: if we do not offer choice, then we are in fact making a choice. The default choice means that no matter what your living circumstances are – confusion, anger, tears, bedsores, immobility – so be it. The law, as it stands, is a brave one. But we have made another choice. We have decided that only those with a “grievous and irremediable” medical condition, and for whom natural death must be “reasonably foreseeable” can opt for it. Except that represents only a small percentage of people who actually want the freedom to choose the circumstances of their own deaths. For those with a cognitive decline and no reasonably foreseeable end, this means the law cannot apply to them. They are forced to wait for nature to take its course. Or more precisely, nature plus modern medicine. If we had a crystal ball, and saw what the latter parts of our golden years looked like, what would we want for ourselves? Many of our younger selves would be mortified. More importantly most of us will never meet the criteria of the current law. The law is based on the principle of proper consent. This seems like an important place to start. Consent requires that the person is fully informed of and able to appreciate the pros and cons of every option and that the person is also completely free to choose. Furthermore the person has the right to withdraw consent at any time. 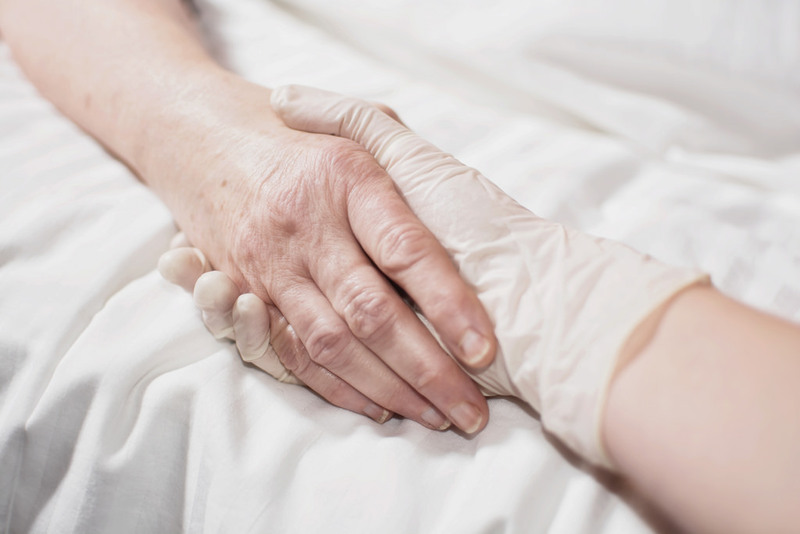 Unfortunately, when it comes to assisted-dying these conditions can rarely be fully realized. Should we allow for euthanasia? Should we as a modern society allow for euthanasia? The old argument that we allow it for animals seems trite but remains apropos. Are human lives far too sacred and beloved for something we only tolerate for lowly animals? Or is it because we know it is more humane to end the animal’s life rather than watch it slowly fade away in a pitiful deathwatch? If so then why deny ourselves and our loved ones the same humanity? This is not about whether life is sacred. It is. But whatever your position happens to be on end of life issues it comes down to this: Should we be allowed to decide for ourselves how and when we die? I don’t want to die any more than anyone else. And as a psychologist I take suicide prevention very seriously. But when I deal with a suicidal individual it is with the conviction that, if the person can get through this difficult period, a better and more normal life awaits. When someone is facing a degenerative condition there is no returning to normal. Every day is worse than the previous one…and better than the next. I understand the slippery slope argument and the potential for abuse but as I wrote in my earlier post this must be weighed against the abuse produced by lack of choice. Ethical debates are never simple ones. They occur when equally important values clash. There is never a clean resolution to such debates but when we weigh all values and consider them as a whole, any decision made at that point is generally the best one. It doesn’t have to be clean. It has to be the cleanest. So what are we left with if we are too far gone to properly consent? Advanced directives are a good place to start. We can tell our loved ones what we would want under various conditions but who can accurately predict all the possibilities and their severity? Advanced consent cannot be fully informed nor meet the reversibility principle. Nevertheless it remains one part of a necessary formula. Most of us want to live as long as possible. Like them I want to see my loved ones and feel the warmth of their touch for as long as I can. I don’t want to give that up until the last possible minute. If I remain lucid I want to be free to decide. But if I wait a little too long and can no longer be lucid I don’t want to be forced to linger. And what if my medical condition came on suddenly and I didn’t have time to express myself on my current condition. What then? For me the answer is relatively simple. I want my loved ones to decide for me. And decide for me alone. A substitute decision maker, such as my son, for example, must make the choice that I would make for myself. Substitute decision makers must not choose what they want to see happen, nor what they believe is best for the patient, nor what they would do in similar circumstances. Their obligation is to choose as the person would choose for him or herself, even if the substitute disagrees. I trust that my loved ones would make the right call. I want it in my hands as long as I am able. But beyond that it should be in theirs. Especially if I have made my opinions abundantly clear to them. The Michel Cadottes of the world should be supported and consoled, not led away in handcuffs. Tagged as assisted dying, euthanasia. One comment to Preserving death or prolonging death? Thank you for your comments and insight. Having volunteered in palliative care in the last year, I have come to better appreciate the issues around the individual’s choice of palliative care or medically-assisted dying. A few years ago, I had to take the decision to end active treatment for my mother, which meant that she would die. It was a heartbreaking decision and one that is present for the rest of my life. And because it is so difficult, I wouldn’t want to impose it on any of my family members if the situation applied to me, even if my wishes were made clear beforehand. There should be a way for the person’s wishes to be known and respected by healthcare personnel without family members having to make the final call. I would be interested in reading your thoughts on this – perhaps you’ve had to make a similar decision for one of your parents? – by putting yourself in the shoes of a family member who has the make the call.